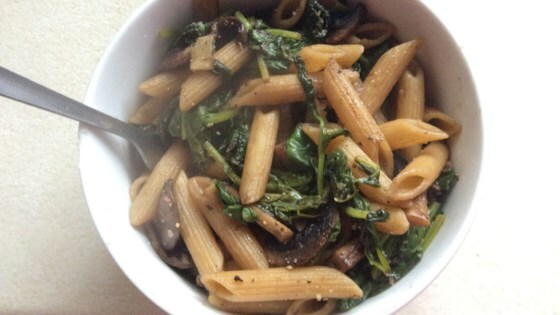 "This lovely pasta dish is very quick to cook and perfect for a midweek meal. It tastes great hot as well as cold as a pasta salad. To save time, you can use pre-washed spinach. Serve with vegan Parmesan if desired."